CHICAGO — A Guatemalan national who has been previously removed from the United States three times, and who is wanted by police in Champaign, Illinois, for allegedly causing a fatal crash while driving under the influence on New Year’s Day, was added Monday to U.S. Immigration and Customs Enforcement’s (ICE) Most Wanted list. Esteban Juarez-Tomas, 33, is wanted for aggravated DUI, resulting in the death of LaDonna (Jeannie) Brady, of Mahomet, Illinois, on Jan. 1, 2017, according to police records. He is also wanted by ICE for removal from the United States, after resolution of the criminal case against him, and any subsequent jail term. Juarez-Tomas, a laborer, has been known to use the following aliases: Salvador Diaz-Gomez, Victor Ochoa and Edgar Gomez-Estrada. He is 5’5” tall and weighs about 140 pounds with brown eyes and black hair. Juarez-Tomas was ordered deported in absentia Jan. 13, 2003, following his February 2002 arrest by the now defunct Immigration and Naturalization Service (INS) near Springfield, Missouri. He was again arrested July 4, 2010, by the Warren County (Illinois) Sheriff’s Department and charged with aggravated battery. ICE lodged a detainer July 13, 2010, and he was taken into ICE custody at the completion of his sentence and removed to Guatemala Sept. 9, 2010. 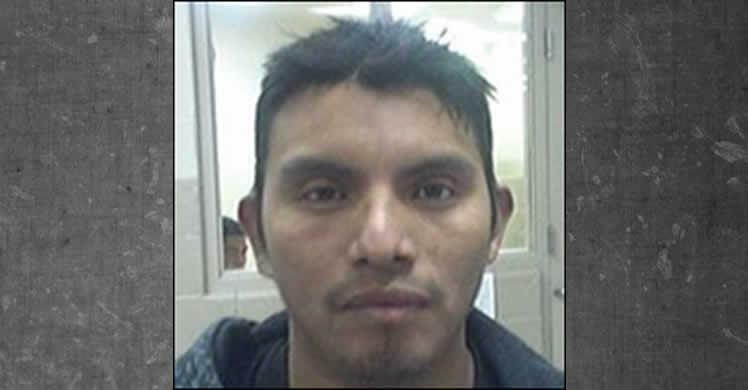 On Oct. 31, 2011, Juarez-Tomas was apprehended by U.S. Border Patrol in Arizona and was subsequently removed again to Guatemala on Nov. 14, 2011. On Dec. 23, 2011, he was again apprehended by U.S. Border Patrol near Rio Grande City, Texas, and was removed a third time Jan. 18, 2012. ICE urges the public not attempt to apprehend any fugitive. Anyone who wants to submit a tip may call their local ICE office, or call 1-866-DHS-2-ICE (1-866-347-2423), or submit a tip online. Ladonna Jeannie Brady killed by illegal alien Esteban Juarez-Tomas on Jan. 1, 2017. MAHOMET, IL – LaDonna “Jeannie” Brady, 45, of Mahomet, died early Sunday, Jan. 1, 2017, at Carle Hospital after a fatal car accident on I-74 in Champaign, Ill.
Jeannie was born March 1, 1971, in Springfield, Ill.
She is survived by her parents, Jim and Francis Damm of Mason City; natural mother, Norma Benjamin of Oakford; three sisters: Deanna Damm of Greenview, Jennifer Crowl of Auburn, and Tracy Setzer, Sweetwater; her husband, Eric Brady of Mahomet; son, Joshua Evans of Rockford; stepdaughter, Kayla Brady of Mahomet; and many nieces, nephews, and cousins. She married Eric Brady on Aug. 8, 2009, in Philo, Ill. She worked at the Christie Clinic business office leveraging her natural talent for helping people. Jeannie made the most out of life and its simple pleasures: spending time with family and friends, riding her motorcycle and helping others achieve their dreams. Jeannie made the most out of life and its simple pleasures: spending time with family and friends, riding her motorcycle and helping others achieve their dreams. She was an amazing woman, mother, wife and friend, and a staunch supporter of the American Legion. Family, friends and those whose lives she touched are invited to her visitation at Blair-Owens Funeral Home, 102 E. Dunbar, Mahomet, IL from 11 a.m.-2 p.m. on Friday, Jan. 6, 2017. Memorial donations can be made in lieu of flowers to the American Legion Post 71 in Jeannie’s name. This entry was posted in Arrest bookings, DUI convictions, DWI arrest photos, DWI Arrests by State, DWI crash photos, DWI news articles, illegal aliens, Illegal aliens DWI / DUI killers, injury or death and tagged deported in absentia, Driving Under the Influence, driving under the influence of alcohol, driving while intoxicated, drunk driving, DUI, Esteban Juarez-Tomas, Guatemalan national, ICE for removal, Illinois State Police, LaDonna (Jeannie) Brady, OWI, U.S. Border Patrol, Warren County (Illinois) Sheriff’s Department. Bookmark the permalink.